Reports reaching Accra360 earlier says a Ghanaian lady from dome Kwabenya known by her Facebook name Dc Queen has been murdered and some part of her body were cut off for rituals. 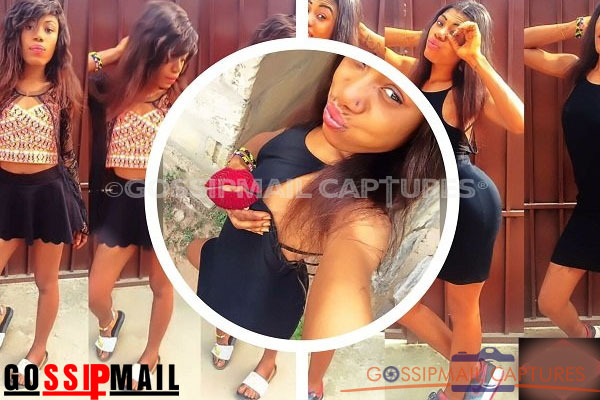 Friends said she was murdered and her body was dumped in an uncompleted building on a night out to “Just Torch Pub: with part of her body (tongue and Pu$$y) cut off. Several messages on her Facebook page indeed indicates that the young lady met her untimely death on Wednesday morning and her body was dumped in an uncompleted building. All they Care is to make their money in what so ever ways! Young Girls too Want to Be bigger than Their Mothers, So most of them selling their Pride and Womanhood for Social Media attention And Fame,Most of them put their Dreams behind to chase this Social media Madness. They Don’t Aim or plan for their Future, All they care is to follow boys around, Clubbing day in and Out, Exposing themselves by act on social media, Smoking and Roaming Aimlessly, Death-Bell is Continously Ringing among This Generation because of Impatience and stubbornness. Sometimes I wonder where we all Heading to,Killing your fellow Human to Make your Money at this Early Stage without thinking of the end result. This Sad New as weak me emotionally, and I still can’t Believe This girl is Gone in such a Horrible Way. I Think this should serve as a lesson to some of Us, We should be careful of People We Trust and Follow around, and those We call Love ones. This world is not Safe anymore, We should really pay attention to our Steps and things around Us. May God forgive All of Us, Protect the Weak ones among Us And Guide our Ways. #RIP #Queen..May God Grant you a Safe Place till We all Meet Again..
May her soul Rest In Perfect Peace.